Everyone must have faced a situation when we have so many files and folders on our computer that we can’t even find the file that we need at the moment. For a music maker, it becomes really difficult to organize the session files that are lying in different parts of the computer. Hence, it becomes even more important to manage the files and folders in a neat manner so that you can access them when needed. The files including the session audio, backups and icons need to be organized so that these can be used later. One way to manage your session files is by creating a master folder for your files belonging to one project. This will help in avoiding mixing up of different files of different projects. The next step is to create different folders for all songs in the master folder. This will easily organize your song files so that you can access them easily. You can also create a folder for final mixes created for every song. This can be your Bounce folder or print folder. You need to make sure that the loops and samples are kept separately in a particular directory or drive where they can be easily accessed. 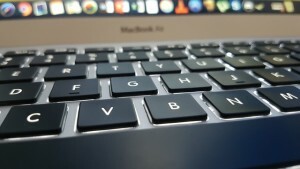 To enhance the computer performance, you need to make sure that you clean up the files lying unused so that more space is available. After organising all the needed files, take a back up of your session in the computer internal drive or an external drive so that you can keep your data safe. Copyrighting and royalties in music industry have now become extremely important for the artists and musicians as the artists want to protect their rights. Lack of awareness about these two can result into losses for the artists. Every copyrighted song publicly generates royalties for the artists whether it is on jukebox and radio station or at any sports event. In the United States, the organizations like ASCAP and SESAC collect these royalties and distribute them among the publishers and artists. The compensation rights for composers and the singers differ for terrestrial broadcasters from those for webcasts or cable music stations. Performance through web i.e. digital streaming, leads to generation of higher compensation for the artists. 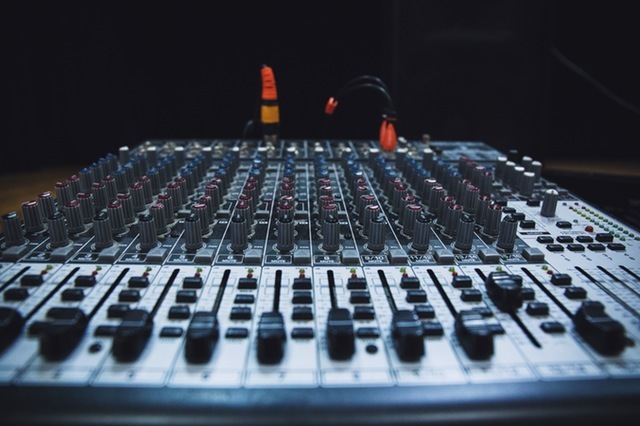 Digital performance royalties are managed by the organisation for performance rights – Sound Exchange. It allows the artists, writers and singers to apply for a license that can allow Sound Exchange to collect royalties for them. Sound Exchange collects the royalties from all media and then distributes the royalties to the members. This can help the artists and musicians greatly in order to get their righteous reward. There are many plans offered by Sound Exchange that can be availed by the artists and they can consult and opt for the best one. Sound Exchange covers more than just the digital royalties like radio and other transmissions. Hence it can work as a liaison between the record labels or artists and the music industry. Working in cluttered place can be an issue of distraction for some. There can be a lot of cables and this becomes cumbersome to focus on music. Nowadays we also have a concept of creating a studio at home so that space and money can be utilized better. In all cases, organizing your studio is the most crucial first step you need before you start working on your music. We have collected a few tips for you to keep your studio clean and organised so as to let your creativity flow. It is important to keep all your things in a designated place so that they are in your reach always. We have to make sure that computer, power slots, studio monitor, headphones, guitar interface, keyboard, racks etc. are kept neatly at places in your reach. With this kind of organizing it is important to have a good seating space with good quality and comfortable chairs. It is best that you pay extra to get the most comfortable seating. The speakers come as an essential for an artist. You have to make sure that you get the appropriate bass traps and panels so as to get the correct mixes. These have to be placed properly so that you are confident of your targeted mixes. A studio plays an essential role for a beautiful playback. Studio acoustics can play a good role in your work so you have to make sure that room looks well and sounds well too. Using some plants and beautiful lights can help in giving you a peaceful atmosphere to work. Once you are set with the organizing and cleaning, you are ready to roll. Every musician today can find tones of information and hundreds of tools on the internet. These resources include the information about sites for social media and websites related to the music industry. These can help an artist greatly in staying up to date on the latest trends and happenings. For instance, the social sites include the fan pages on Facebook and twitter handles that can connect the artists with their fans. YouTube plays a great role in providing a digital marketing platform for the musicians. The bands can keep their followers updated on the current and upcoming releases. These social networking sites help to give the artist and the company a cheaper and reliable source of advertising. These sites also include Snapchat, Instagram, Vine etc. These social media outlets, websites and blogs allow the musicians to showcase their work online and reach out to millions across the continents. Even the band can have their own website that can serve as the dedicated stage for their work. Along with these resources, there are different kinds of material available online related to music development. Artists can perform their research electronically using these resources. There are research articles related to music theory, history, recordings etc. that are available on the international libraries present online. These can be a great help for a music scholar too. 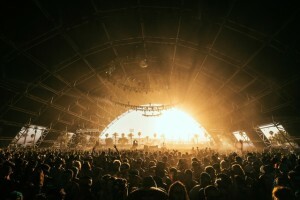 Along with these e-resources, there are some sites that can also help the artists to find better options for booking their shows like Gigsalad, Gigmasters etc. If used correctly, these resources can provide the right kind of publicity to bring the band in spotlight and act as tools for your potential growth. Why do we need Spotify? Why do we need Spotify? Spotify has become an essential for the musicians and artists today with its amazing services. Today, variety of options is present for downloading music by the audience that do not generate little money for the artists. Here comes the role of Spotify which provides a paid and legal service for the music fans that generates the royalties for the musicians. Spotify provides the listeners a free and ad supported tier that will help in providing better royalties for the artists. Spotify gives the musicians a platform for a great amount of exposure and you can opt for different tiers according to your needs. Around 70% of the revenues of Spotify are distributed to the rights holders including publishers, labels, distributors, artists etc. It has generated revenues for many labels and artists in all the countries where it operates and Spotify had paid the royalties as high as $3 Billion until now. These payouts show that how beneficial can Spotify be for the musicians. Spotify works as a great resource for the users as it is a free app allowing you to use it conveniently to reach your intended audience. It allows the musicians an opportunity to earn from every download or play for their music in a very easy way. It helps in making your music popular and acts as a great marketing tool raising the sales further. As music sharing has become an indispensable act all around the globe, Spotify lets you make the most out of it by the generation of value for the artists. It works on an excellent paid streaming format that delivers the royalties for the artists. Hence you can use this music streamer for the maximum exposure and earnings. http://therecordshopnashville.com/wp-content/uploads/2018/10/nashville-recording-studio.png 0 0 The Record Shop http://therecordshopnashville.com/wp-content/uploads/2018/10/nashville-recording-studio.png The Record Shop2016-12-01 19:48:282016-12-01 19:49:38Why do we need Spotify? How can SEO help Artists? How can SEO help Artists? Searching information on search engines like Google has become a regular activity today as people search on internet all the time. In the same way, fans find the search engines the primary source for searching latest music videos and songs. Having a website for your band and updating new music will not help if it is not being viewed by maximum viewers. Online marketing of entertainment website will be optimum if your site receives high traffic from different search engines. The process of optimizing the websites in order to improve their ranking on search engines is called as Search Engine Optimization or SEO. This can be a great help for the music companies and artists if used appropriately. If your fans cannot search for you easily, your music won’t reach them. Hence promotion of music online will require SEO. When your web pages are optimized, it will be ranked higher and it will come up as a former result when the search takes place. It is a complex process involving some techniques and tips which makes your website higher in ranking. SEO also provides your website an effective presence online promoting your music efficiently. SEO will make your website a popular site as the audience will widen in number and the overall perception of your band also improves. 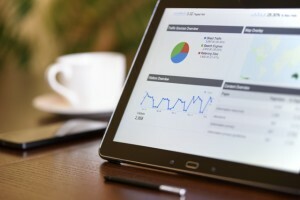 SEO involves the techniques like keyword usage, meta-description tags, meta title tags and adding different links that help in improving the overall ranking of your website so that it is easily found by the search. Presence of links of your site on social media networks also plays a major role in SEO. 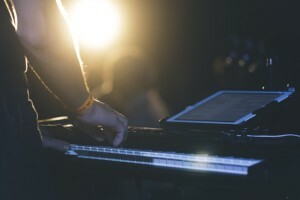 If all these techniques for SEO are used properly, musicians can promote their work through online marketing effectively. http://therecordshopnashville.com/wp-content/uploads/2018/10/nashville-recording-studio.png 0 0 The Record Shop http://therecordshopnashville.com/wp-content/uploads/2018/10/nashville-recording-studio.png The Record Shop2016-10-31 16:56:552016-10-31 16:57:53How can SEO help Artists? YouTube today has become a regular destination for all the music and video lovers around the world. Today it is very common for people to set up their channels on YouTube and the user base is growing at a fast pace. 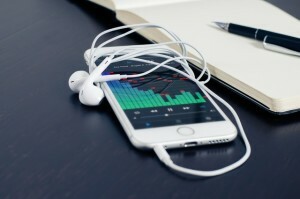 With a little technique and tips, it can turn into an ultimate marketing strategic partner for your music. With the lightening speed of internet and advent of smart phones in every part of the globe, YouTube is one amazing way to broadcast your music videos to each corner of the world. Thinking about a YouTube channel already? Well. All you need to do is sign up on YouTube with a Channel Name and specify the Account as ‘Musician’ while creating an account. Your account is ready to be customised as per your needs. You can make it attractive with different options available for colours, designs, linking options etc. The artists can use this account forum as a platform to channelize their vision of music as it can send the message across very quickly. In addition to this, YouTube Channel can be made consistent with your special artwork and websites. This will help you connect the parts easily. Make your page well readable with the required information available while adding the optimum number of sections only. You can use the channel to provide information about yourself and the brand. Include the website links and add the images for your music albums or videos if available. Once you are through with this process, you can start uploading your videos. While uploading the video, use the song title with the musician and company name. Add the appropriate information to describe the video a little. Once the video is uploaded, start tagging and make it searchable. With the growing penetration of social networking in our day to day lives, it has become the fastest growing marketing tool in the field of music industry now. Any music company or recording studio-small or big can find its marketing strategy and strengths in Social Media Marketing and Digital Marketing if it uses to these techniques to their full potential. • Facebook Leads and Ads: The biggest range of social media advertisements is through Facebook offers or Facebook leads and ads along with the regular upload. Facebook helps in keeping the music fans updated to the launch of the latest tracks and videos. 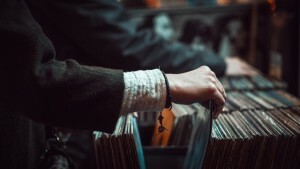 • Twitter: Tweeting the promotional links and sharing the details of the latest music releases helps in instant connection with the audience. You can make your marketing effective by using Hashtags making your tweets interesting and eye catching. • YouTube, Facebook Pages and Twitter Lists are other two methods for reaching out to the fans effectively. An insight into the music trends and tastes can be provided with these media networks. • Pinterest and Instagram can be used to connect with the fans personally by keeping them hooked regularly. • One effective strategy for improving your marketing effectiveness is to use maximum number of images, video ads and demonstrations in order to creating awareness in the most efficient way. • Social media helps you to effectively measure the overall buzz for your releases along with the marketing of new tracks. If you keep these tips in mind, social media marketing can give you an incredible platform for reaching your audience.